The Houston Texans have reportedly used the franchise tag to secure Jadeveon Clowney for the 2019 NFL season, per John McClain of the Houston Chronicle. The Texans have franchised OLB Jadeveon Clowney. This was an expected move. The two sides ideally will work out a long-term deal, and Houston has expressed a desire to make that happen. Yet heading into the new league year, nothing positive has developed on that front. ESPN’s Adam Schefter reports it’s a non-exclusive tag for Clowney as the two sides continue to work on a long-term deal. 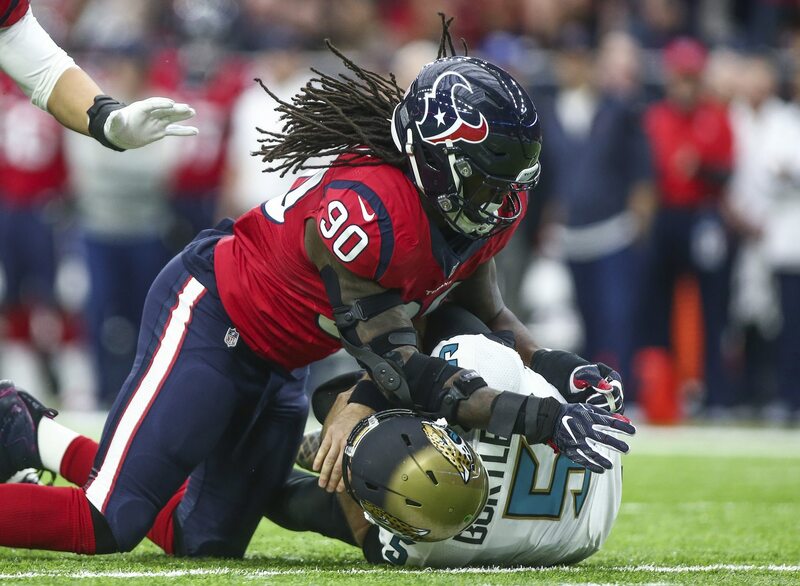 One of the top impending free agents this year, Clowney is set to rake in just under $16 million as the Texans came close to splitting the difference between the defensive end and linebacker tags. Clowney franchised at $15.967 million rather than LB’s $15.443 mil. He got 120 percent of last year’s contract of $13.30 mil. DE franchise is $17.12 mil. It’s a difference for Clowney of $1.160.8 mil. Last season, Clowney racked up 47 tackles and nine sacks for the Texans.